Dunlop – manufacturer of tiling, flooring and decorating products – is debuting a new demonstration trailer at Professional Builder Live in Manchester from 15th-16th March at EventCity. 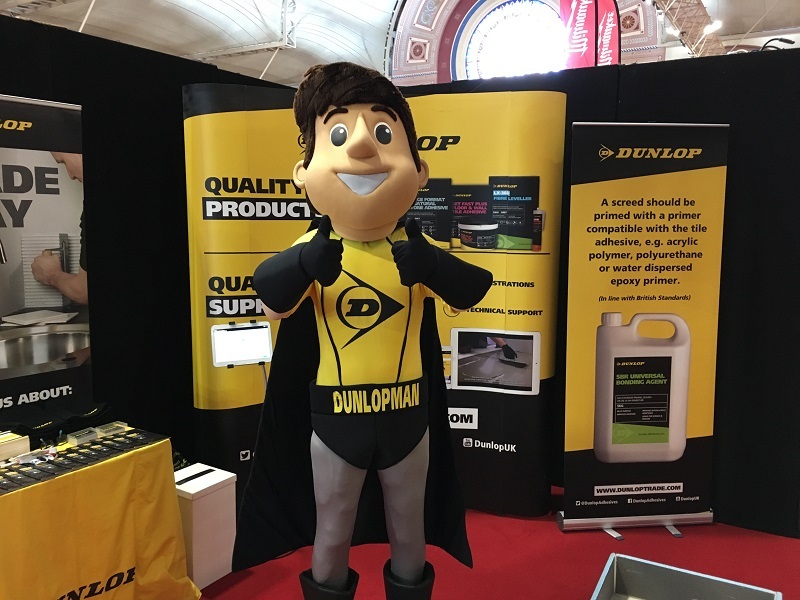 Visitors to Stand PB10 can see hands-on practical tiling and flooring demonstrations, get technical advice, pick up Dunlop goodies and meet Dunlopman – Dunlop’s very own building superhero! For more articles on Dunlop Adhesives click here, here and here. • LX-360 Fibre Leveller – fibre-reinforced self-smoothing levelling compound for use from 3mm to 60mm bed depth. Tile on in 3 hours. • Large Format and Natural Stone Tile Adhesive – a pourable tile-bed tile adhesive for floor tiling inside and out. Use up to 25mm for natural stone, terrazzo and porcelain tiles. • Shower Waterproofing Kit – an ideal waterproofing systems for showers and wetrooms. • GX-500 Flexible Grout and FX-90 Silicone Sealant – flexible floor and wall grout in eight colours and matching silicone sealant. Debi Boulton, Sales and Marketing Manager, said: “Our new demonstration vehicle gives tradespeople the chance to see our innovative tiling and flooring products in action and have a go themselves! 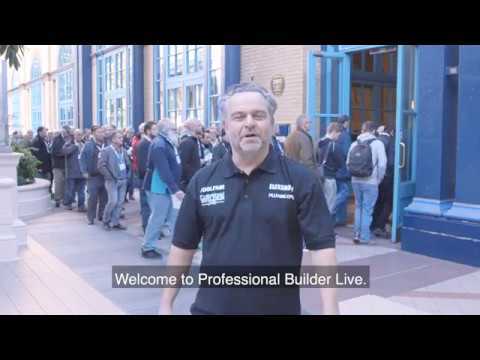 To find out more about Professional Builder Live, the UK’s best trade show, click here. Based in Stoke-on-Trent, the brand prides itself on offering product solutions that combine technical quality with exceptional ease of use, whatever the project. The range is aimed at multi skilled tradesmen and decorators and is sold throughout the UK and Ireland in Builders Merchants, Retailers and DIY stores. Dunlop aim to make it easier to select and use the best products to achieve high quality results. As well as quality products, Dunlop provides assistance and advice to tradespeople and merchants with its technical helpline and nationwide team of product support technicians. 100 copies of business-boosting book to win!